I often get the question from both fellow runners and curious encouragers, “How do you get through all of that training?” As in, what do you eat to get through it. While I can’t lie that I sometimes eat like a 12-year-old (I’m known for my love of Pop Tarts as pre-long run breakfast because they digest easy and are a quick source of fuel, but regardless not a healthy choice), I try to eat healthy so that I can recover from hard runs faster. 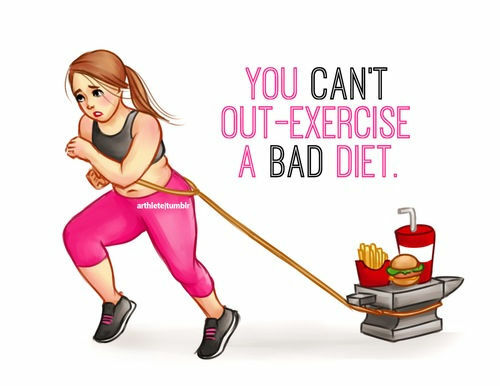 Sure, it’s great in theory to be able to eat “whatever you want because you’ll just run it off,” but the fact is, you can’t do that because your body needs nutrients to repair itself from all the work you do. One time, after a long weekend training run, all I wanted was a big fat salad. You know things have gotten pretty bad in Diet Town when you crave salad after a long run. The truth is, I may be able to burn off junk food with a long run, but I don’t have carte blanche when it comes to eating just because I run a bazillion miles a week. I have to choose foods that are high in reparative protein and vitamins, like vitamin D, and minerals, like calcium, for healthy body functions and to protect myself from injuries. It took a long time to figure out what I like to eat before and after a workout, but over time, I realized that the less processed the food is, the better I feel. I know our society has trended toward eating fewer processed foods, and in some circles it has a bit of a following, but I say that only to reiterate the point that repairing your body after hard workouts does not mean you need to start guzzling cement-mixture protein shakes or gnawing on mealy protein bars. In fact, I hardly ever eat those things myself and instead try to rely on natural sources of protein, fiber, vitamins, and minerals. Where you can find all four of these things at once? Nuts and seeds is a great place to start. In my opinion, the key to creating a great snack is to look at pairing fruits with nuts or seeds, then add a protein and a fiber source. My favorite fruit and nut combos are blueberries and pecans, cherries and pistachios, peaches and almonds, bananas and hemp seeds, and cranberries and walnuts. But don’t get stuck in a rut– there are far too many great fruit and nut or seed combinations to try! Get creative and see what you like. For more ideas on what kinds of nuts and seeds are out there and how to create healthy snacks that are tailored to your own health and diet needs, be sure to check out Nuts.com‘s list of Healthy Snacks. I’ve only named off a few of the numerous nuts and seed varieties they have to offer. Just be sure to check the serving size on your nut or seed of choice— those little guys are packed with fats and calories, so you only need a little to go a long way! 1 cup of ancient grain cereal flakes with 1 sliced banana, 1 cup of almond milk, and 3 tbsp. of raw hemp seeds: This is a great snack because it not only provides you with the essentials, but it’s highly versatile. Instead of ancient grain cereal flakes, try: steel-cut or old-fashioned oatmeal, granola (check the labels! ), a whole-grain waffle (lots of gluten-free/wheat-free variations, but again– check your labels– the fewer unpronounceable ingredients, the better! ), or another cooked grain, like quinoa or farro. I’ve also swapped out the banana for berries (dried, freeze-dried, or fresh– just be sure to check labels for low- to no-sugar added dried berries) and the hemp seeds for sunflower seeds, pumpkin seeds, walnuts, sliced almonds, chia seeds, or pecans. Also, the milk can be replaced with any kind of nut milk or dairy milk in a glass, or even ricotta cheese or nonfat Greek yogurt, which is packed with protein, or cottage cheese. Very quick and easy! Ancient grain flakes with almond milk, banana, and hemp seeds. 2 slices of whole wheat bread, toasted, with 1-2 tbsp. of natural peanut butter, sprinkle 2 tbsp. chia seeds, drizzle with honey: Again, this snack is another very highly versatile snack. I know there has been a general aversion to bread lately, but the truth is that runners need carbs. For me, bread is a great place to get those carbs– but check the label to make sure the first 3 ingredients do not include the words ‘enriched,’ ‘high-fructose,’ or ‘sugar.’ If you’re gluten-free, there are many varieties of gluten-free bread on the market. If you’re really opposed to bread, you can easily swap the bread for apple slices or a sliced banana (although obviously not toasted). You can also substitute the peanut butter for any variety of nut butters, like almond or cashew, or consider instead a mashed avocado with Himalayan pink salt and pepper. If you want added sweetness with your nut butter, a drizzle of honey, maple syrup, or agave nectar can give you that or try topping the bread with sliced strawberries, peaches, or a banana. Miniature veggie tray or cheese plate: This snack option provides an element of luxury with it. We obviously always think of veggie trays and cheese plates as hors d’oeuvres at a party, but why not create one for yourself as a healthy, varietal snack? The options are virtually limitless, but here’s what I love to put on mine: a sliced hard-boiled egg with a drizzle of olive oil and sprinkle of red chili flakes, Kalamata olives, a few baby carrots or grape tomatoes, and a piece or two of sharp white cheddar cheese. For the hard-boiled egg, you can substitute baked chicken tenders (baked or grilled, not breaded), boiled or steamed seafood, a veggie burger, meat jerky (watch the sugar and sodium content! ), smoked salmon, or even a scoop of tuna or canned salmon to pair with wheat crackers. Don’t be afraid to explore oils like avocado, truffle, or walnut– just be sure to stay within serving size range. You can also add hummus, guacamole, or olive tapenade to have with your veggies which could also be bell pepper strips, cucumbers, or celery. This is also a great way to use up the last of anything in your fridge, like olives after a martini party or a shrimp cocktail. Voila– a desk picnic! So, the truth is, eating healthy to fuel a long run or killer workout session doesn’t have to be scientific. Your taste buds tell you everything you need to know about what healthy foods are the most appealing to you, so be creative and get a little exotic! Don’t be afraid to try new combinations of ingredients, and stick to what you like best while changing the variety as you please. These snack options have sometimes been my meals and, if it’s done right, they can keep you full for hours and replenish you after you’ve sweat an ocean at the gym. Be sure to see what nut and seed varieties are available at Nuts.com!